Are all of you ready for the World's first martial arts inflatable obstacle race Dragon Run coz' it will make its debut on 14th and 15th May 2016 at the Horse Ranch in Resorts World Genting. 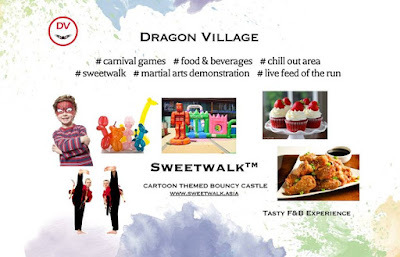 Me and my Little Angels were invited for a special preview treats where 5 Dragon Run gigantic martial art themed inflatables were set up for the media and bloggers on last Saturday, 9 April, 2016. Designed for those with the love of martial arts and the thrill of a run, Dragon Run is an adrenaline-pumping 6K run around a course that incorporates eye-catching, often towering and certainly challenging Martial Arts-inspired obstacles. 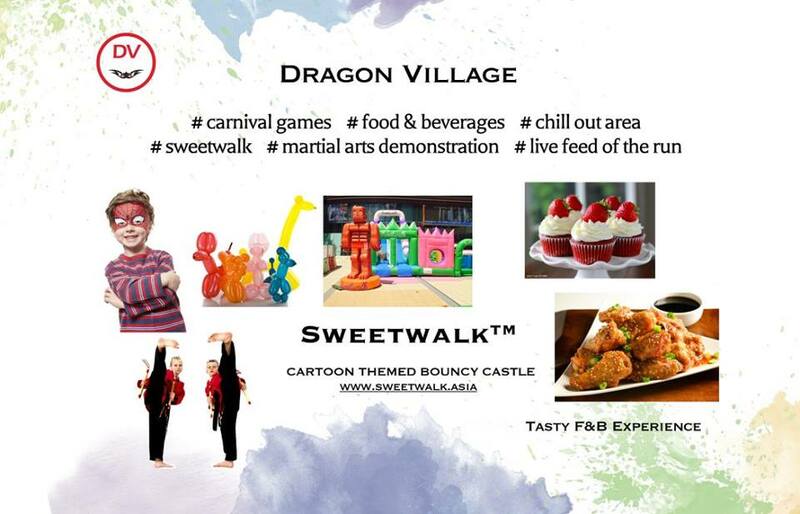 An all-ages event set in an Asian contemporary atmosphere, Dragon Run will feature activities for the whole family. "Dragon Run's proprietary inflatable obstacles are designed with the three pillars of martial arts - the Spirit, the Training and the Combat. Each can be as fun as challenging as you like. The harder you push, the more rewarding the experience !" said Giedrius Sruogis, Events Director at the Hong Kong-based event organiser Next Promotions. Head to the calls of the Dragon and fulfill the need for speed. 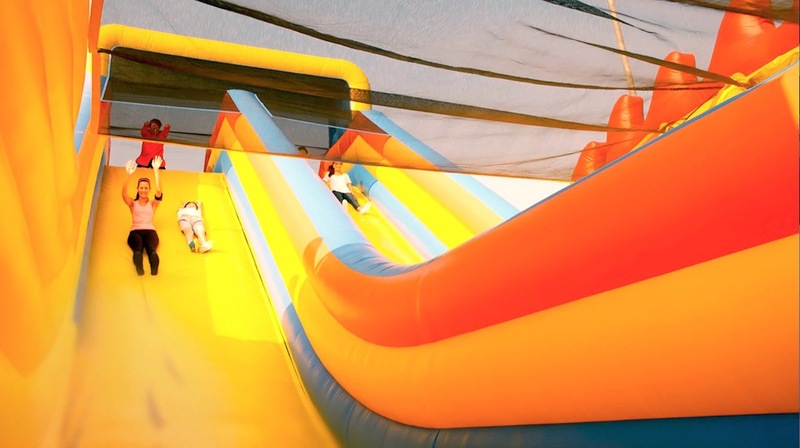 Start at the towering Dragon Gate before taking on the monstrous Giant Dragon, the complex Kung Fu-inspired all-in-one obstacle that will test your balance, endurance and agility. Then complete a course of 10 gigantic martial arts obstacles in the styles of Dragon Kung Fu, Taekwondo, Muay Thai, Sumo and Jeet Kine Do that promises an adrenaline and endorphins-pumping experience. Upon completion, enjoy the rest of the day with your fellow Dragon Run tribesmen at the Dragon Village, where plenty of food ad beverage offerings, carnival games and combat demonstrations await all of you there. You can just sit back and enjoy the live feed of the run and cheer for your fellow runners. Dragon Run is open for all age but the obstacle run requires participants aged 12 or above. Minors 12 to 14 years old must be accompanied by an adult during the run. For children aged 12 and younger, they can embark on a journey through an equally entertaining and delicious candy-inspired bouncy castle brought by Sweetwalk. There are also a myriad of children's activities which include face painting, balloon twisting and other carnival games that will ensure a satisfying day-out in the cool fresh air of Genting Highlands. Registration and ticketing will start now and purchase your tickets at https://liv3ly.com/event/details/Dragon+Run+2016. Tickets will be sold with a choice of start time between 7.00 a.m. to 6.00 p.m. on 14th & 15 March 2016 on a first-come, first-served basis. All of you are urged to register early to secure preferred start time to avoid disappointment later on the times slot. All participants will receive bibs and a runner's packet with Dragon Run sports T-Shirt, towel, small rattle drum, tattoo stickers and additional goodies. So, are you ready to take on Dragon Run like a boss ? If you are, then secure your VIP pass at RM219 and join the run with priority on start time, access to VIP bag check counter and special VIP area of food and beverage offerings and private restrooms at Dragon Village. 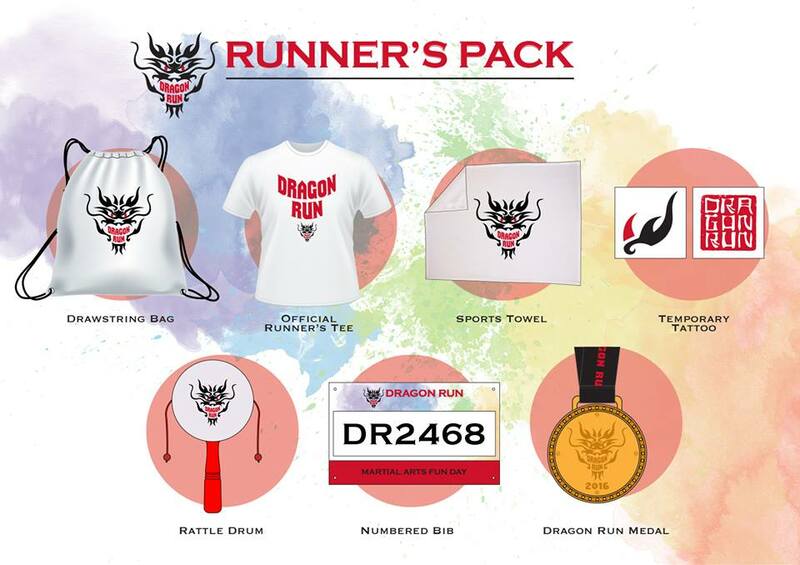 You could bring home a VIP running tee and extra goodies and game tokens for Dragon VIllage. For updates on the Dragon Run, do visit their website at https://liv3ly.com/home and follow them at their facebook at https://www.facebook.com/DRunOfficial/?fref=ts. 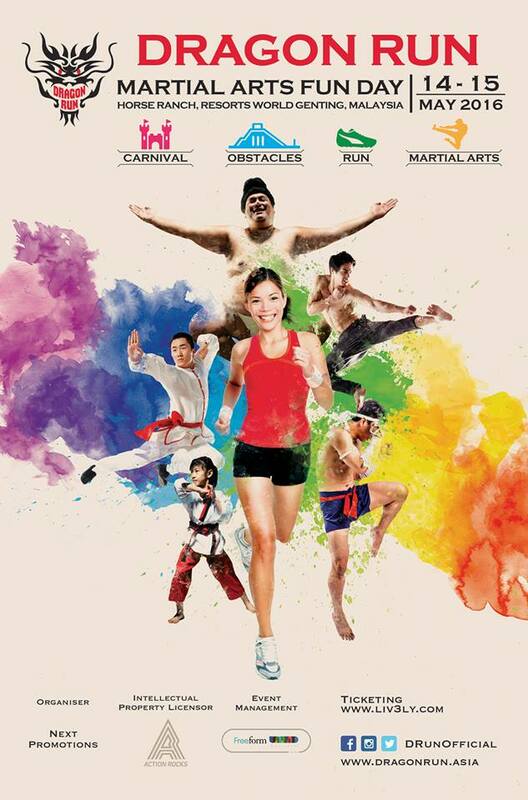 Thanks to Citrine One for the invitation to join their 15th Anniversary Sports Day on the Dragon Run Special Preview. Me and my Little Angels had enjoyed ourselves so much for the whole event. We had successfully fight like a Warrior to complete all the challenges. We will definitely come back again for more obstacles on 14th and 15th of May 2016 to ensure we are really fit to be acknowledge as the Dragon Warriors. So, waits no more, let's fight together to complete all the mission at the Dragon Run now and have all the fun with your family and friends. Good run in great weather... :) Looks like it's fun event! Kylie, it is fun for everyone. The weather is good but towards the end, it started to rain and everyone got wet later on. Fadzi, really tiring but luckily there got some inflatable chair for us to sit on. Pui San, good luck in your project. I got the invitation but couldnt make it. So jealous! Fatin, you miss out all the fun ler. Join us on 14th and 15th of May later ya. This looks like a great event. Fun and adventure combined. Rainbow, indeed it is. First in Malaysia to have something like this. Don't miss it out ya. Sharon, it is a great run where we got to use the martial arts skills. Hope you can join us on May later. Miera, they will have the full obstacles on 14th and 15th May. Hope you could join then. Wah! SO nice. Looks like super fun run. Too bad i couldnt join that day. Looking forward to this run! It seem so fun and I can't go for the run. Good luck for the contest. Hope you can win. Betty, tqvm. I really hope to win a night stay there while enjoying my run. It should be fun. It make me confused when I entered in a Giant Dragon.. I fell down many times. 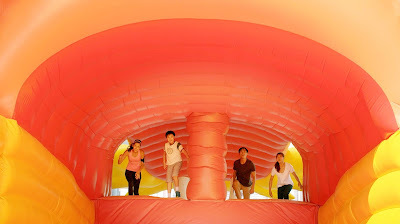 I not familiar with this Haha :P So fun! Selina, at least you could stand up again to continue. Thats the spirit of the sports. This looks so much fun and name is so catcy -dragon run. Mums and Babies, it is indeed fun. First in Malaysia and all of us felt so excited to explore them. Ivy, I really love their concept. Run while having all the fun. memang best gila kan.. hahaha i paling horror bila turun ke bawah... ! I miss out this run because the schedule is too close to my We Run KL. Would love to join soon.